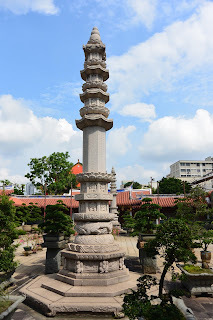 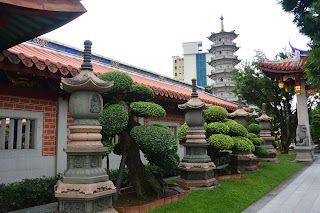 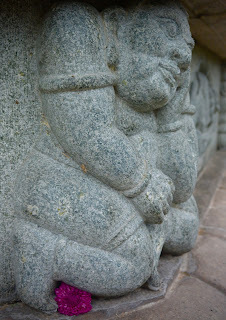 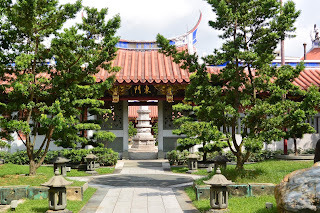 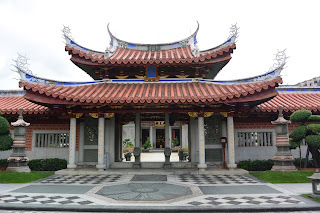 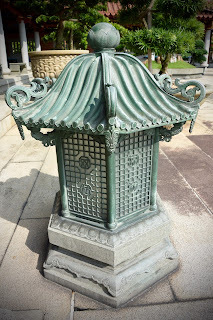 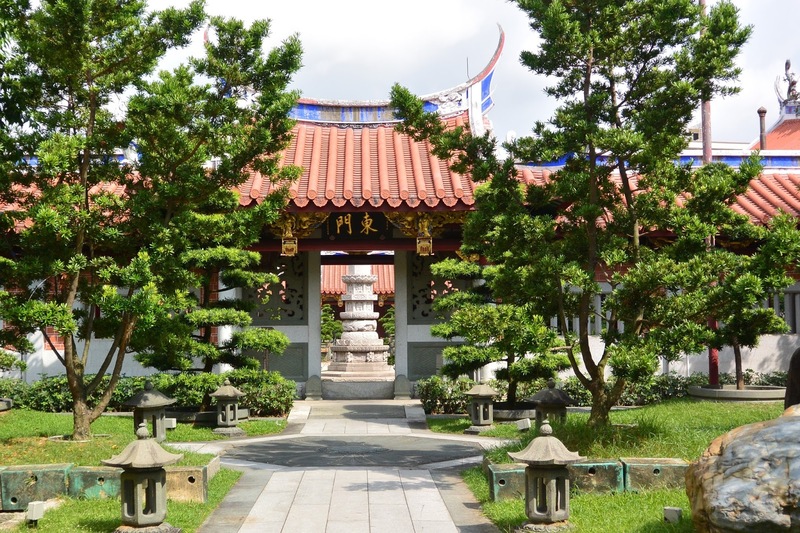 Shuang Lim or Siong Lim in Hokkien is a temple and monastery visible along the PIE and situated in Toa Payoh, close by the iconic dragon playground http://www.singaporetales.co.uk/2015/03/mosaic-playgrounds-of-singapore.html and Town Garden http://www.singaporetales.co.uk/2015/06/toa-payoh-town-park.html As we have travelled passed many times en route to other destinations both myself and hubby have always wanted to visit and a few weeks ago I was lucky to get the opportunity. 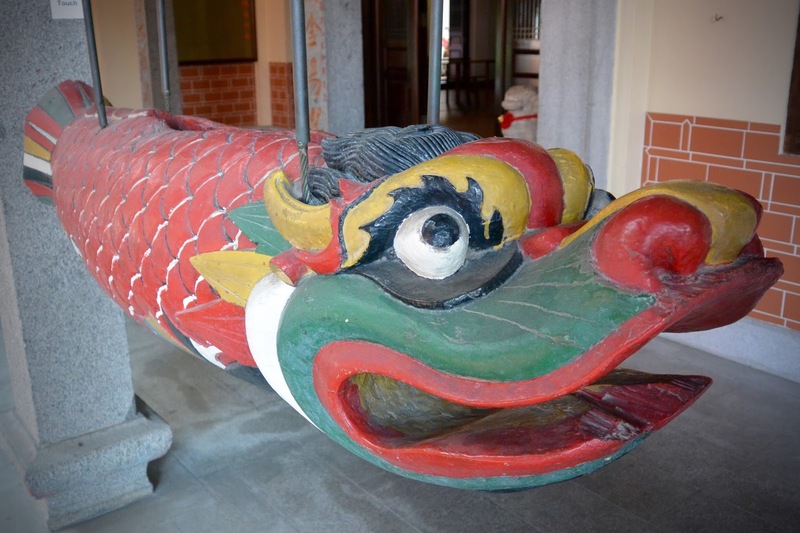 Founded by a Chinese businessman from Fujan, Low Kim Pong who arrived in Singapore in 1858. 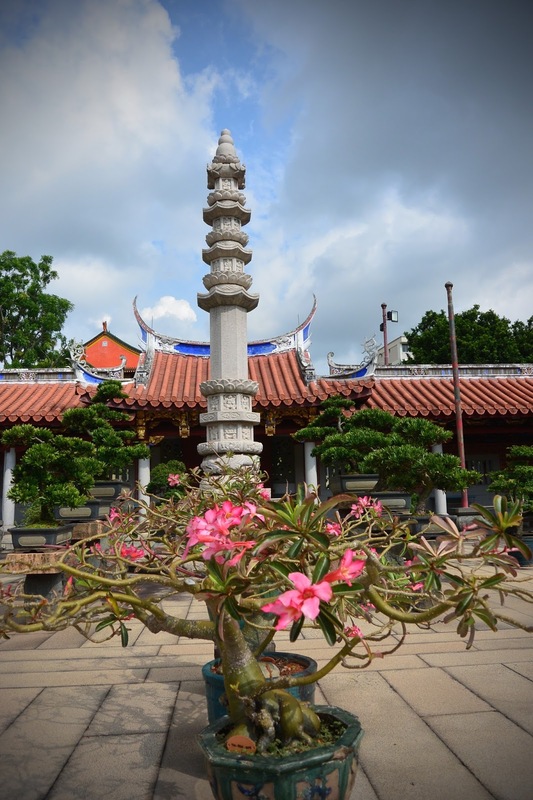 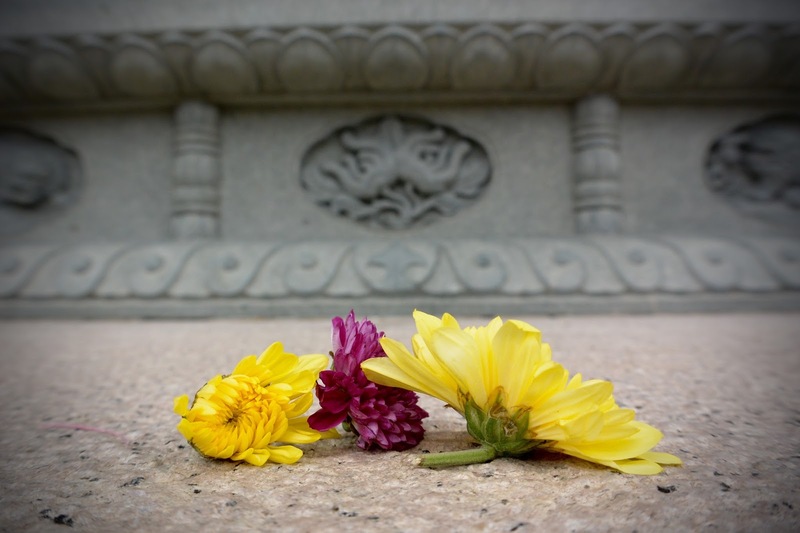 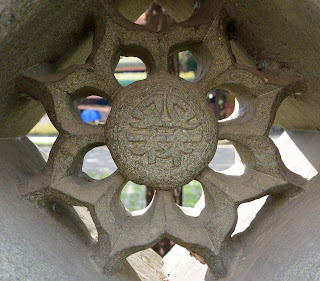 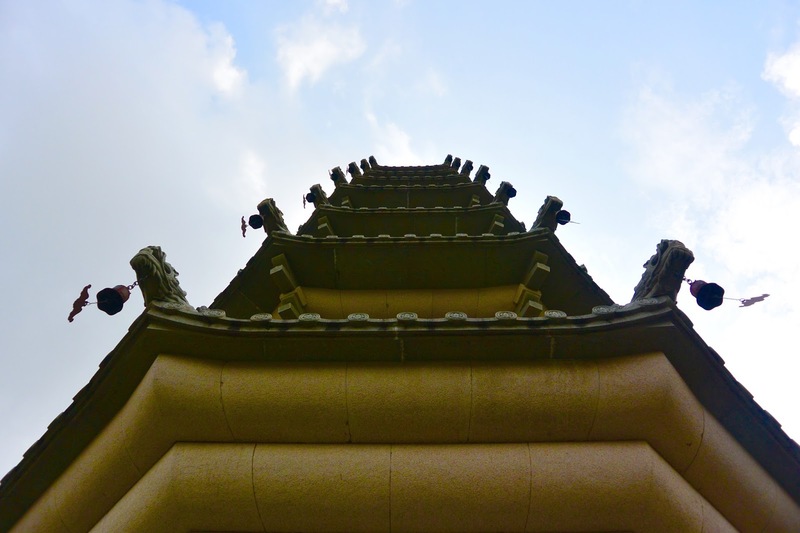 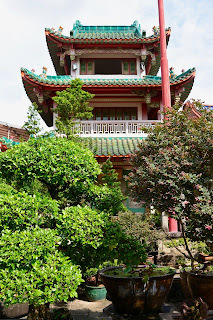 It was built in 1902 and its name means Twin Grove of the Lotus, what a lovely sounding name, it is built in the form of a Chinese mountain temple. When Low Kim Pong was in his 60s the story goes that both he and his son had the same vision. 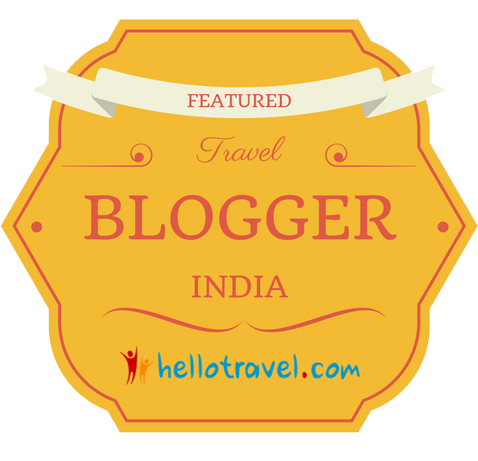 Shortly after this he met a Hokkien Buddhist monk, family and followers who had been travelling on pilgrimage for 6 years. 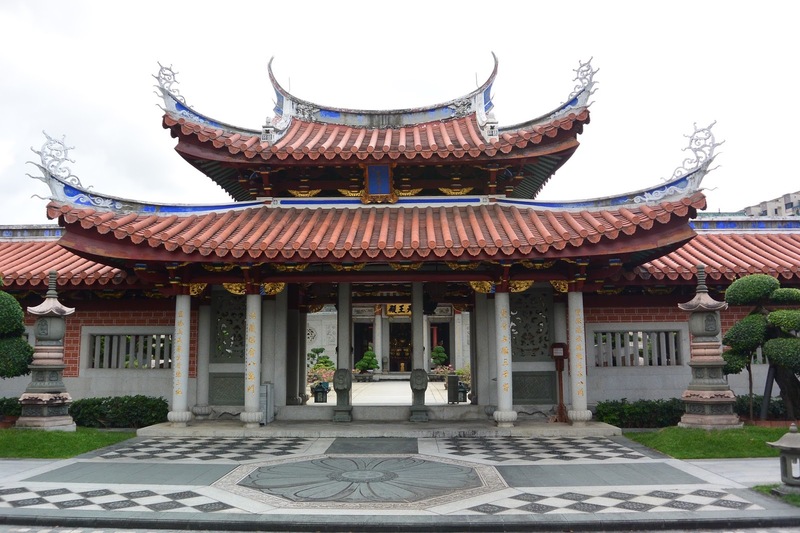 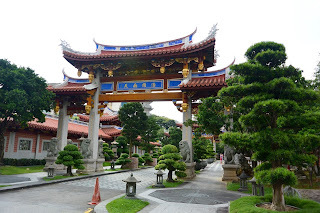 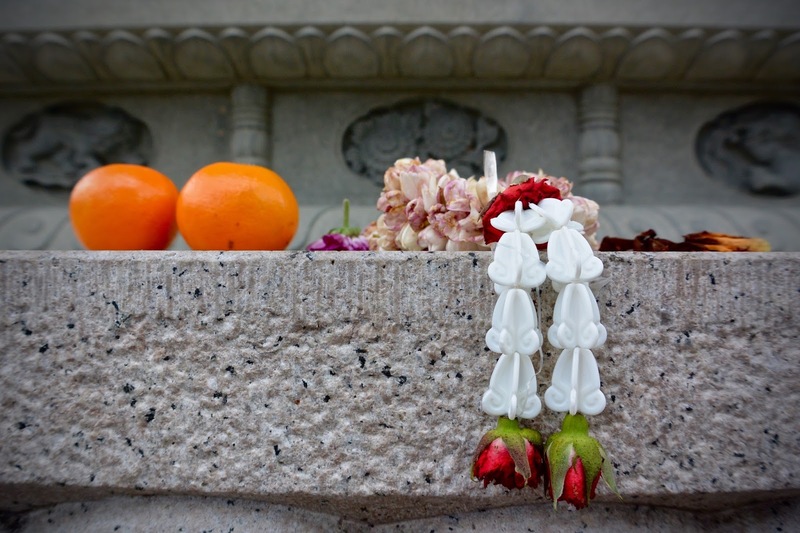 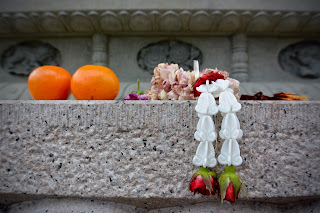 The temple was originally built for them to encourage them to stay here in Singapore. 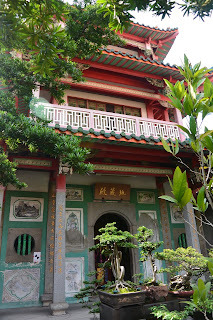 The father of these pilgrims Xian Hui was to become the first abbot of the monastery, but he died in 1901 just before it was completed. 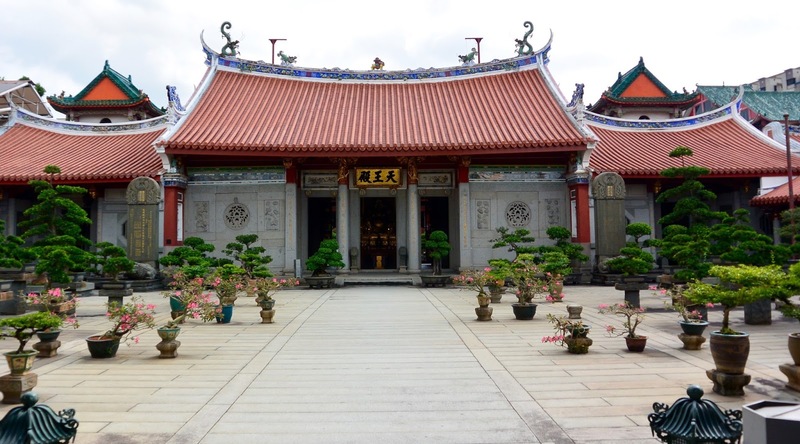 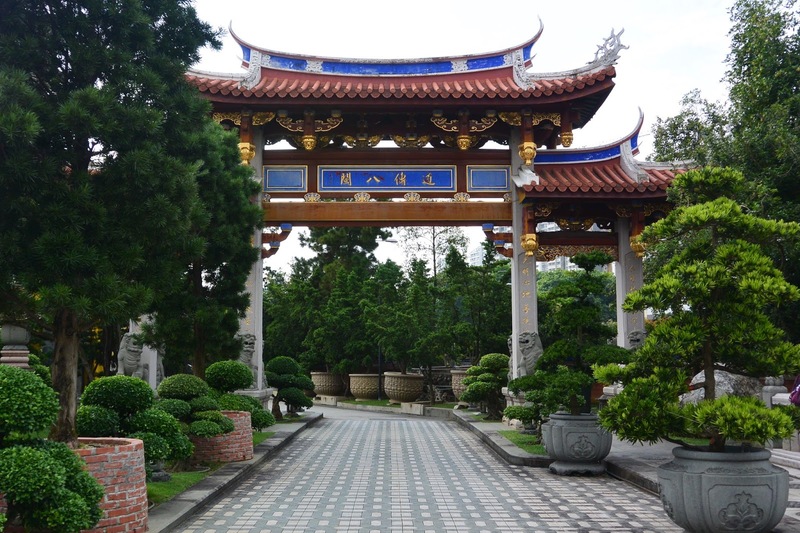 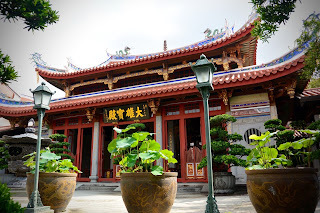 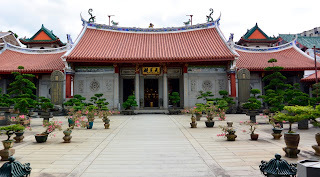 As you enter the grounds you first walk passed, on the left of the monastery, the temple of Cheng Huang, the town god, who's main body of the building was built in 1912. 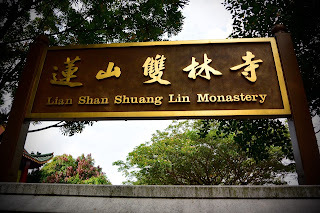 From here you walk on to the monastery which is flanked by 2 enormous 9 metre tall mountain gates, either side of its main entrance. 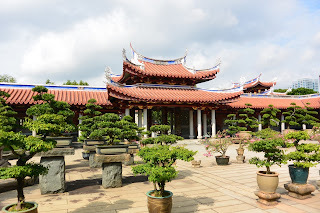 Surrounding the complex are neatly manicured lawns and bonsai trees and stones lanterns with the usual ornamental fish pond standing in the front. The monastery is main up of 3 halls each with their own courtyard containing more bonsai and lotus plants amongst others. 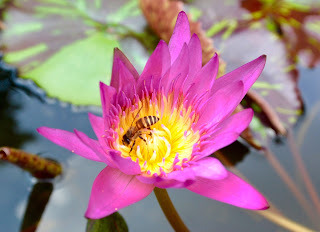 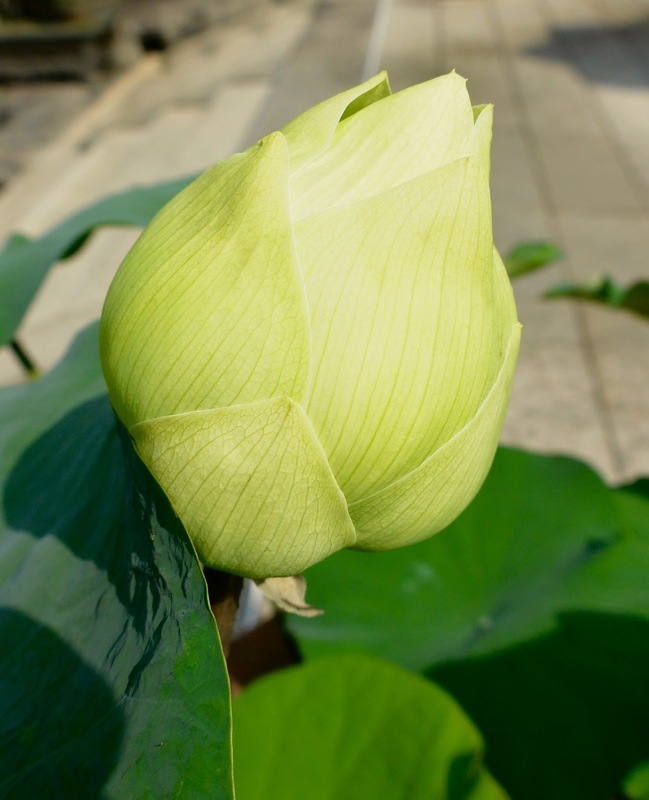 The name Twin Grove of the Lotus refers to to the trees located at Bodhigaya in India where Buddha attained enlightenment. The monastery and its halls were built in 3 stages. 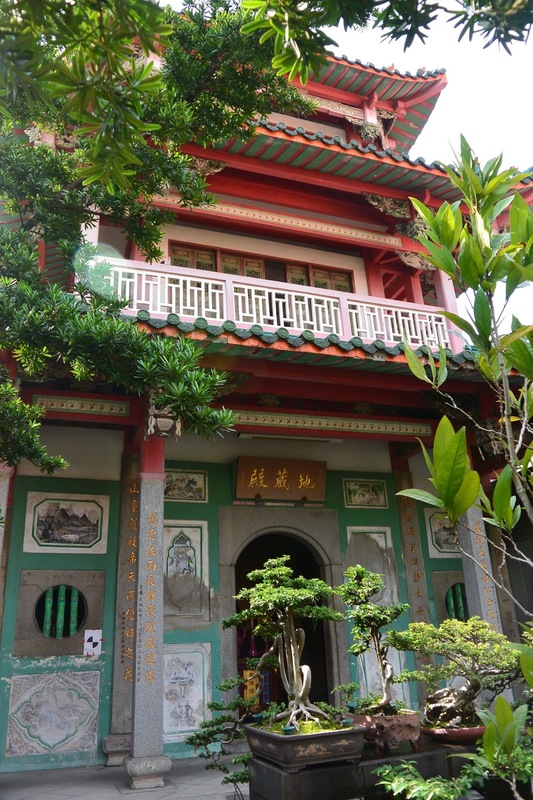 1903 the back hall was built, this is the Dharma Hall, housing the large statue of the Goddess Guan Yin. 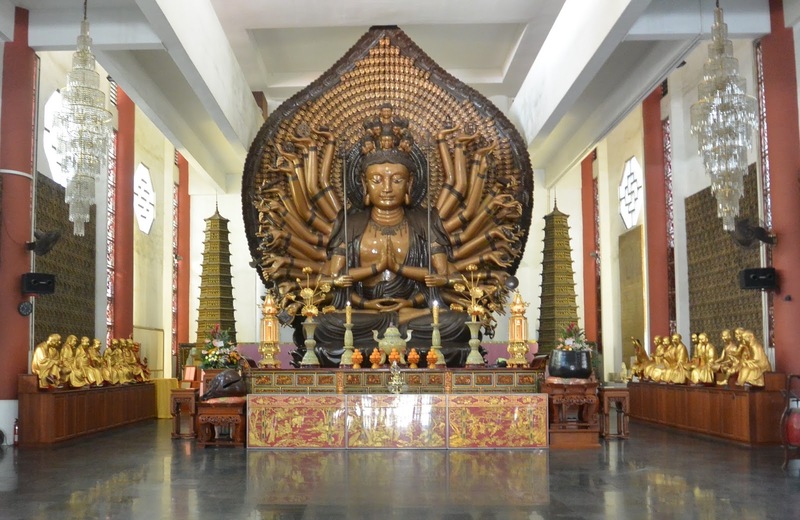 Guan Yin or the Goddess of Mercy is a stunning imposing 11.2 metre tall bronze statue, she was reputed to have 1000 hands and eyes. 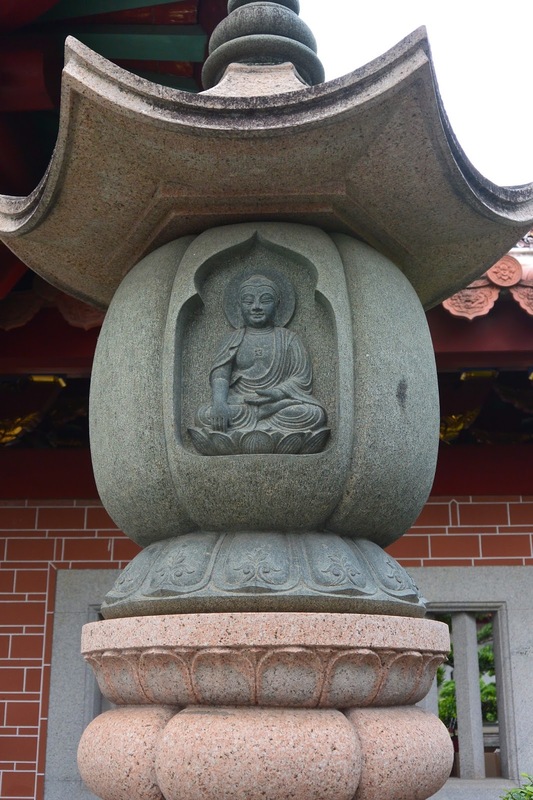 she is the Bodhisattva of compassion with her many hands and eyes representing her all giving and all seeing nature. 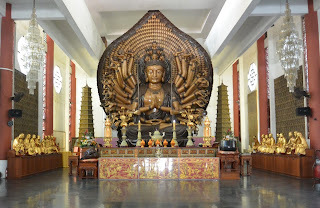 In 1904 the Mahavira, main hall was constructed. 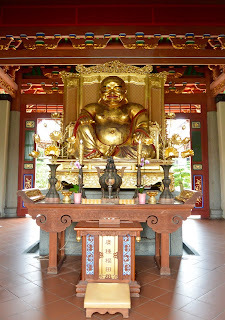 This hall has three large statues of the three Buddhas, Amitabha, Bhaisayjaguru and Sakyamuni. 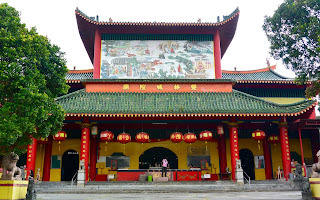 Finally in 1907 the 3rd and final hall was built. 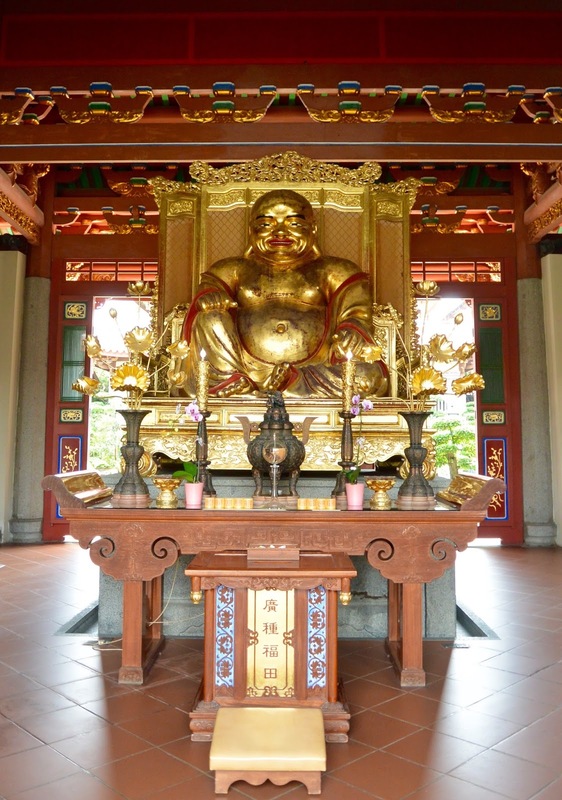 This is the main entrance hall and is the Hall of the Celestial Kings, home to the Maitreya Buddha, more commonly known and recognised as the Laughing Buddha. 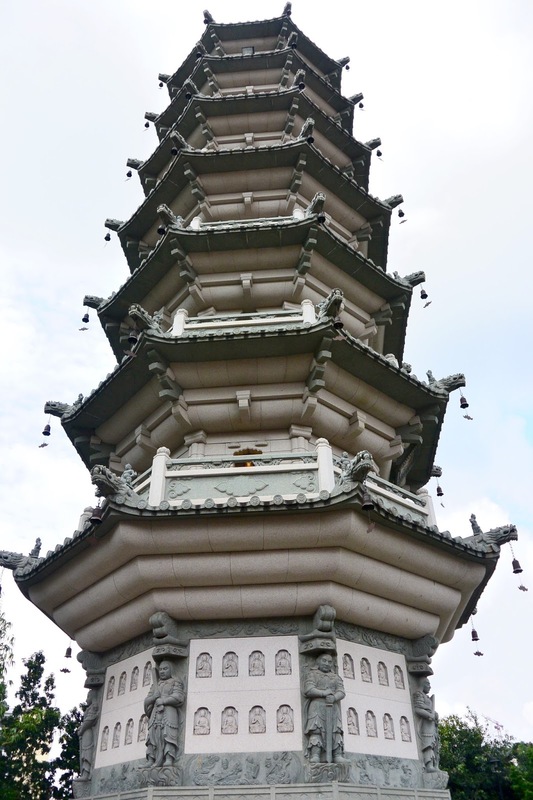 To the front right hand side sits a 7 stepped pagoda topped with gold which is a replica of the 800 year old Shanfeng Temple Pagoda in Fujian, known as the Dragon Light Pagoda. 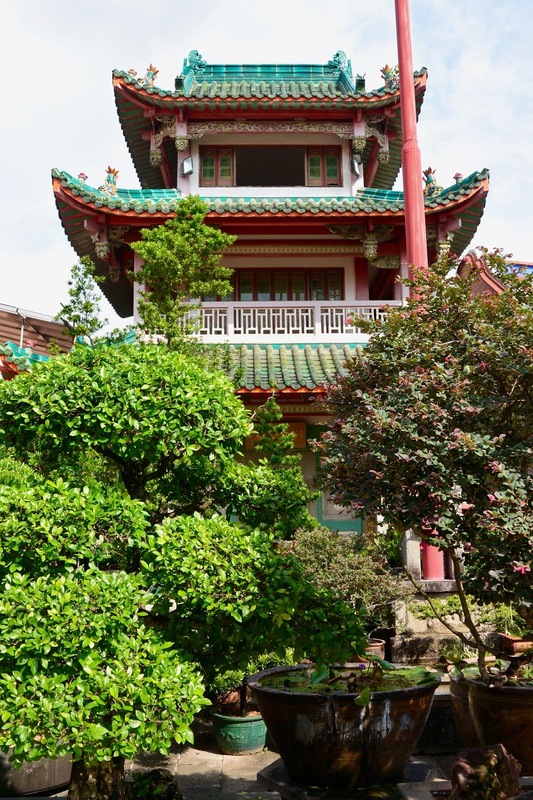 It once covered many acres, but in the 1950s, the government halved the site and the other land was used to build the HDBs you see surrounding the temple and monastery. 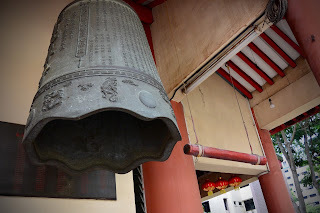 For those living close by they will awaken to the temple bell that is tolled at 6 am daily. 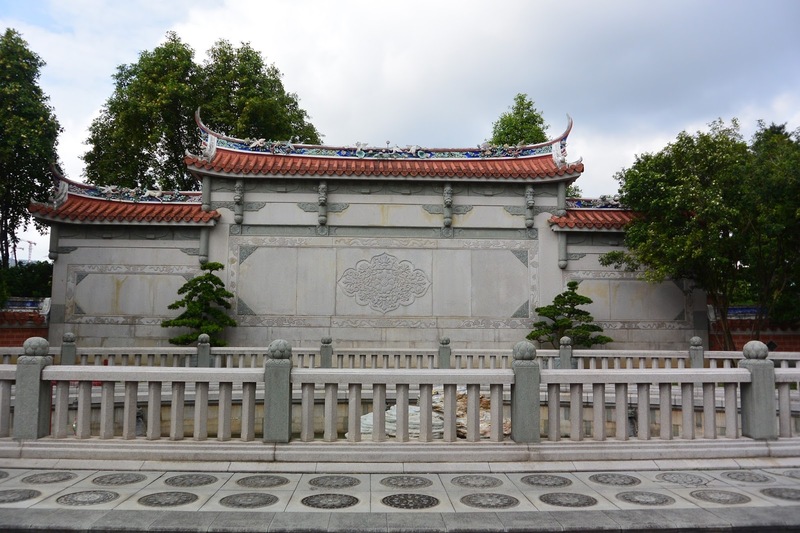 On 17 Oct 1980 it became a National Monument but from then throughout the 80s and 90s it was left to decay and collapse. 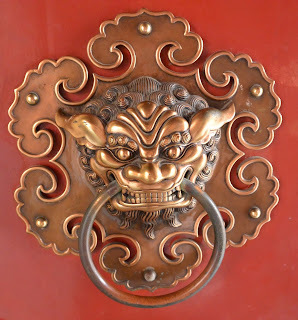 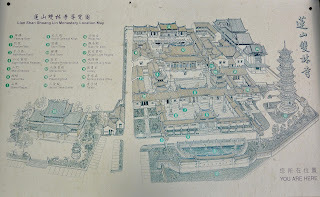 It was then decided it required renovation to save it and this took place between 1994-2002, using many experts craftsmen from China, who had knowledge of this style and type of buildings.